The Insurance Institute of Ireland (III) has pulled their members' magazine after a controversial front cover which has been slammed as "racist" and "insensitive". 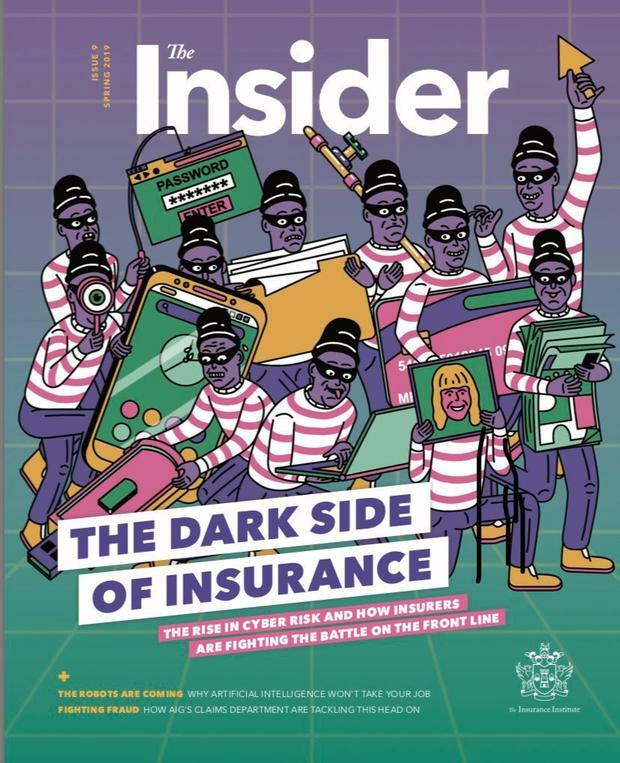 The front page of the quarterly magazine carried the headline 'The Dark Side of Insurance' and referred to the rise in cyber risks. The image - which was drawn by a freelance artist - shows thieves with dark purple faces stealing phones, money and passwords from a woman with a pink face and blonde hair. A training institute for workers in the insurance industry, the institute decided to pull the cover after they received a number of complaints about the image. It is understood that a number of the complaints criticised the cover as being "racist". In a statement, a spokesperson for the III said they were "regretful" that the image had been viewed negatively by its members. "On Tuesday, March 19, we were informed that there had been some commentary online in relation to the front cover of the latest edition of our member magazine," the spokesperson said. "We were both surprised and disappointed to learn that the graphic had been interpreted in a negative way, as this was categorically never our intention. "We took the feedback on board and removed the graphic immediately," they continued. "While never our intention to offend, we are conscious that it caused some upset and for this we are regretful. "It's a professional organisation, representing [more than] 17,500 members, we hold ourselves to very high standards and so any misunderstanding or negativity in relation to content we have created is something we take seriously."